This weekend’s Roar Before the 24 will be the first official weekend for the newly-renamed Michelin Pilot Challenge (formerly known as the Continental Tire SportsCar Challenge). There are a lot of changes for the 2019 season, the most obvious being the series name and the fact that everyone will race on Michelin tires. 40 teams will test this weekend on Daytona International Speedway’s 3.56-mile road course. In Grand Sport, there are 31 teams entered and a multitude of changes. eEuroparts.com Racing has acquired an Audi R8 LMS GT4 and will run it alongside their two TCR Audis. Kenton Koch will drive alongside Road Atlanta winner Tyler Cooke and Rodrigo Sales. The AWA team has switched from the Ford Mustang GT4 to the new Porsche Cayman GT4 MR and has an all-new lineup. 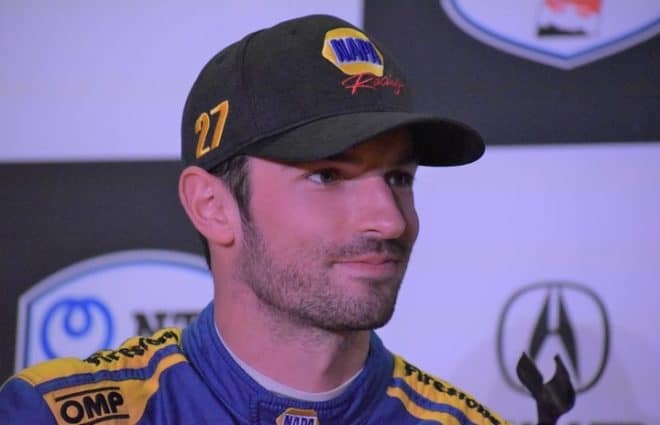 Orey Fidani comes from Pirelli World Challenge to drive alongside Scott Hargrove. Multimatic Motorsports is back with two cars. The full-time No. 8 from last season is absent. 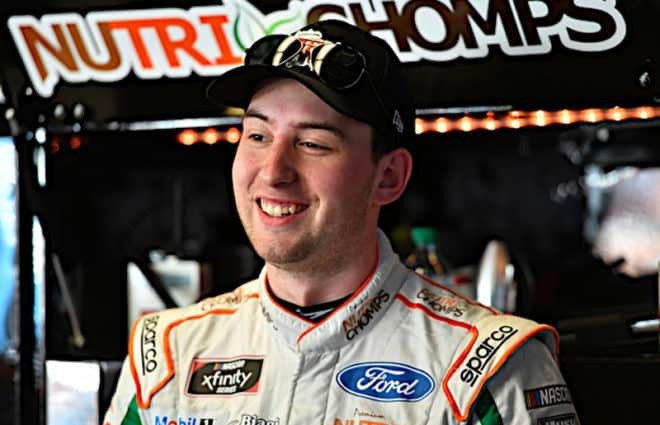 Scott Maxwell will be back with his group of young guns (Chase Briscoe, Austin Cindric and Ty Majeski) to mentor. 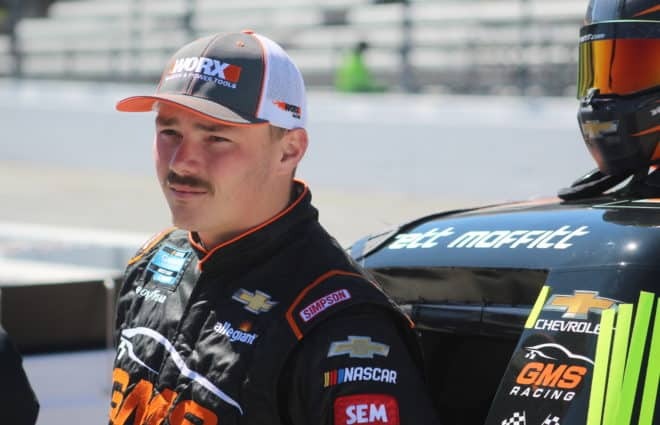 Multi-time champion Billy Johnson is also back in the fold after missing the 2018 season as a result of getting upgraded to a platinum driver ranking. As previously announced, Trent Hindman and Alan Brynjolfsson will share a Porsche for Park Place Motorsports. 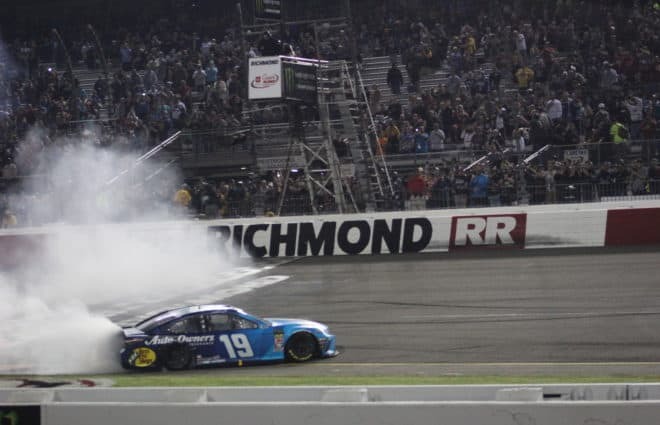 That car will retain the No. 7. There’s also a second car (No. 77) that will be on-site this weekend for the team as well. Ian Lacy Racing is present with a Ford Mustang GT4 for team owner Ian Lacy, Frank Gannett and Drew Staveley. 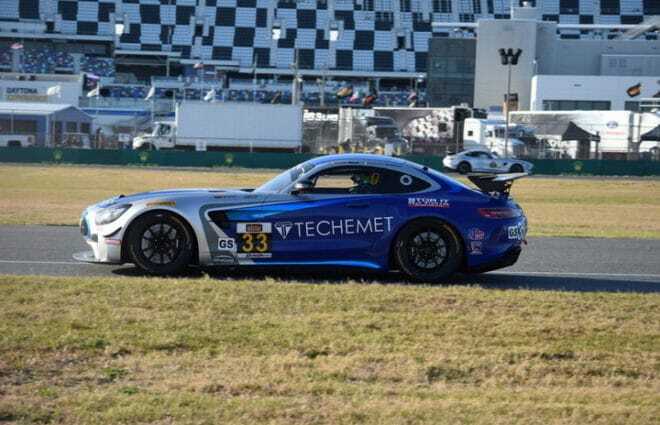 The team, previously known for racing Ginetta G55 GT4s in Pirelli World Challenge, will race in both Michelin Pilot Challenge and GT4 America in 2019. Winward Racing/HTP Motorsport is back with two cars after their No. 33 was forced to withdraw at Road Atlanta with crash damage. Russell Ward will be back in the No. 33 for his third full season in the series. This year, he’ll have Indy Dontje as his teammate in place of Damien Faulkner. Russell’s father, Bryce Ward, will be back in the No. 57 with Christian Hohenadel as his teammate. Rennsport One has a completely new lineup for the test with Jan Heylen driving alongside Porsche GT3 Challenge Cup teammates Charlie Luck and Fred Poordad. 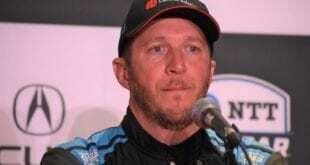 For Luck, he will likely make his first start at Daytona since the 1986 Goody’s 300 in the then-Busch Grand National Series (now the Xfinity Series) later this month. The team’s previous drivers, Dillon Machavern and Spencer Pumpelly, will continue to drive together in another Porsche for The Racers Group. BimmerWorld Racing has one car with team owner James Clay joined by 2018 Street Tuner champion Devin Jones. The team hopes to have a second BMW M4 GT4 at some point this year, but that is dependent on sponsorship. In TCR, only nine cars have entered the test session. Compass Racing is sort of back. The Audis they fielded with the help of KMW Motorsport are not back. Instead, KMW Motorsports will field two full-time Alfa Romeo Giuletta TCRs this year. Only one, the No. 5 for Roy Block and Tim Lewis Jr., will be present this weekend. LAP Motorsports, which ran the MINI effort as MINI JCW Team, will return with two Honda Civic Type-R TCRs full-time under the name LA Honda World Racing. Three of the five drivers on the entry list (Mike LaMarra in No. 37, Colin Mullan and Mat Pombo in No. 73) previously raced MINIs for the team. Honda of America Racing Team (HART) returns to the series after two years away with a familiar lineup. Chad Gilsinger will be joined by defending Pirelli World Challenge TCR class champion Ryan Eversley full-time in a Honda. Bryan Herta Autosport will compete full-time in the series with their new Hyundai Veloster N TCR model. However, the team will not be at the Roar. The cars will debut in the BMW Endurance Challenge at Daytona in three weeks. 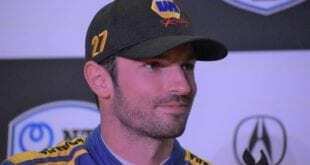 Unlike the IMSA WeatherTech SportsCar Championship, Michelin Pilot Challenge teams are not required to attend the Roar Before the 24 in order to race in three weeks. There are a number of teams that are not present that will be at the season opener. For example, Compass Racing is not present and has not announced their Michelin Pilot Challenge plans for 2019 as of yet. Same for Stephen Cameron Racing, despite the fact that the team’s website has a countdown to the Rolex 24 weekend on their homepage. Bryan Herta Autosport previously announced that they would be skipping the Roar with their new Hyundai Veloster N TCRs. Michelin Pilot Challenge teams will test for all three days this weekend. The first session is scheduled for 9:45 a.m. Friday morning. 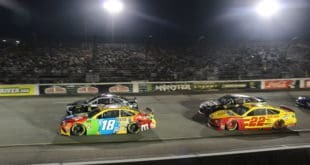 We will have recaps of the on-track action all week here at Frontstretch. 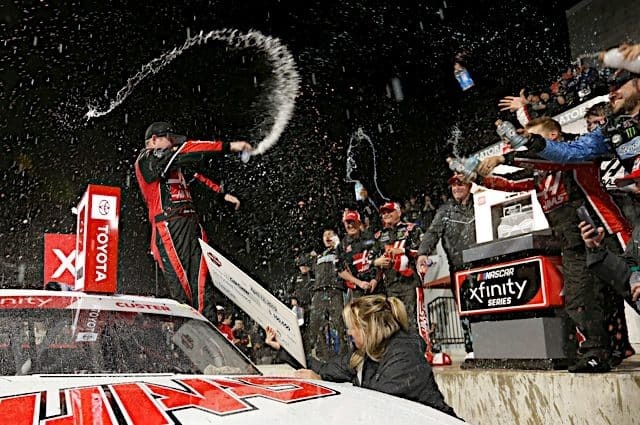 Tags Chad Gilsinger Charlie Luck Devin Jones Dillon Machavern Fred Poordad Jan Heylen Kenton Koch Orey Fidani Roy Block Ryan Eversley Scott Hargrove Spencer Pumpelly Tim Lewis Jr.